On sale through the last day of April!!! Embrace the days of state testing! 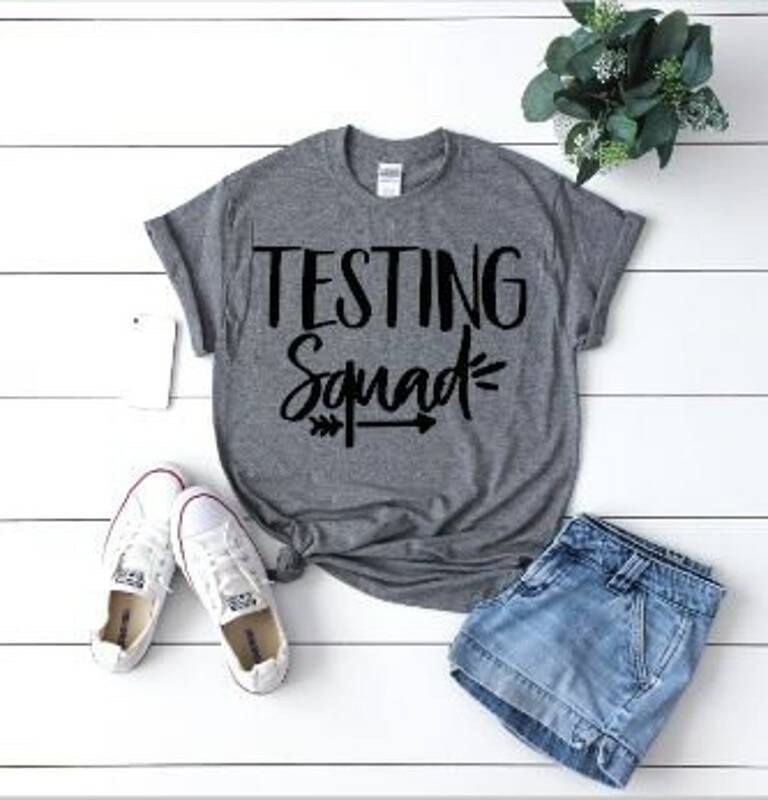 This shirt will go perfectly for that fabulous jeans day you will get during those last state testing days! Pair with your favorite comfy tennis shoes for the miles of fun you will have pacing around your classroom/school closet (used for testing) room. Please refer to the sizing chart in the listing images. Shirts fit true to size. For a snug fit, order down a size. Shirts are Gildan brand and 50% cotton, 50% polyester.